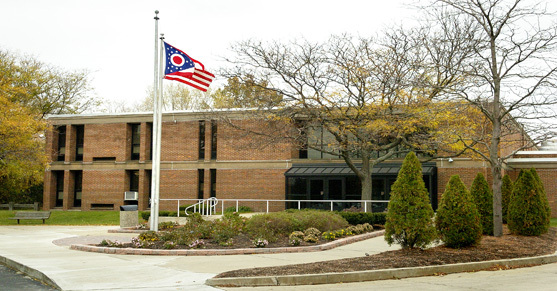 Hilltop Elementary School houses the Beachwood School District's third, fourth and fifth grade students. With an enrollment of approximately 325 students and a certificated staff of 45, Hilltop provides a comprehensive academic program that meets the needs of each individual student. Hilltop's daily academic program includes balanced literacy instruction through a guided reading approach, mathematics instruction through the Everyday Math program, social studies, science, and a 60-minute Unified Arts block. The Unified Arts block is made up of visual arts; general, vocal, and instrumental music (band and orchestra); physical education; technology; library; and guidance classes. Hilltop has two computer labs, three laptop carts, and a variety of instructional technology that is utilized by all teachers and students. Our students also have access to a wide range of after-school opportunities including Student Council, Newspaper, Yearbook, Chess Club, Destination Imagination, 4th and 5th Grade Intramurals, Choir, Sign Choir, Fiddle Factory, and Greenhouse Club (with a greenhouse on-site). The Beachwood City School District also provides a Late Bus for students who stay after school to participate in our after-school programs. Hilltop has an active Intervention Assistance Team that meets as often as needed and is in the process of incorporating a Response To Intervention model-based program. While specialized instruction is provided to Hilltop's gifted and talented population and students requiring accommodations, all students receive differentiated instruction to meet the needs of our diverse learners. Students requiring before-school and after-school care are provided transportation to Bryden Elementary School. The District's mission statement to develop intellectual entrepreneurs with a social conscience guides Hilltop's decision-making and programming, while our school goal statement Learning Together, Building Our Future guides Hilltop's vision and values. The Hilltop Elementary School family of students, staff and parents takes great pride in our educational program. We work together to ensure a joyful, inviting environment that challenges each child to reach his or her full intellectual and creative potential in a safe atmosphere. Come join the excitement of Hilltop!